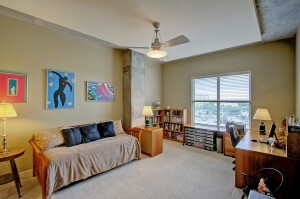 Located in downtown Charleston, 150 Bee Street #715 is a two bedroom and two and a half bath condo. 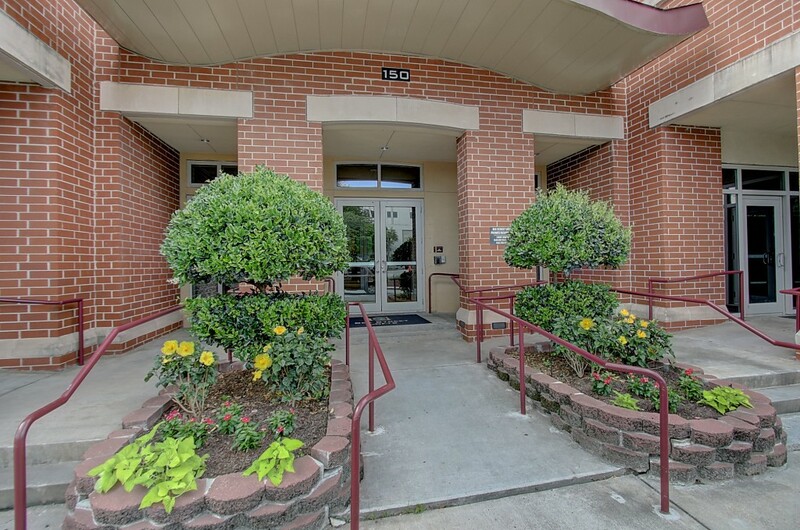 The unit is located in Bee Street Lofts, which offers easy access to the historic peninsula and other parts of town including West Ashley, James Island and Folly Beach. It is also within walking distance of the medical district, the River Dogs minor league baseball stadium and Brittlebank Park alongside the Ashley River. 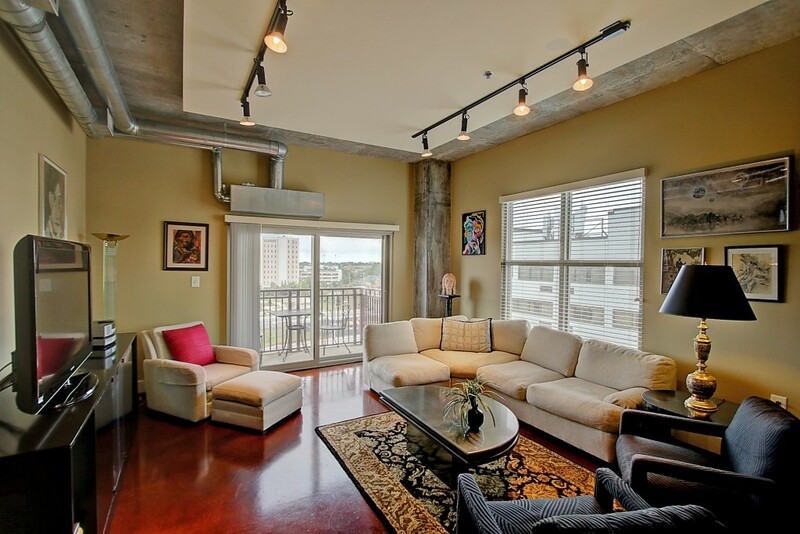 The spacious unit is located on the seventh floor and showcases an open floor plan with contemporary finishes. The formal dining room adjoins the modern kitchen which features granite counters, stainless steel appliances, a built-in wine fridge and a center island. The living room is well-sized with great natural light and there is an adjoining private balcony so you can enjoy some fresh air. Other features include tall ceilings, poured concrete floors, track lighting and exposed ductwork to give it a loft-like feel. 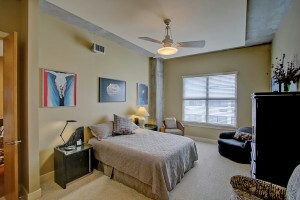 The condo’s two bedrooms are located on opposite sides of the home to give you peace and privacy. Both feature en suite baths with elegant features such as tile flooring and granite topped vanities. 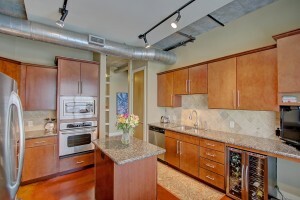 Bee Street Lofts also offer a host of amenities for residents to enjoy. An exercise facility, TV room and two outdoor grilling and lounging areas are some of the most-used features in the complex. It also comes with off-street, gated parking so you have a secure and easy place to park your vehicle–a true highlight for a property in the heart of the city. For more information on this property or to setup a showing, please contact listing agent Elizabeth Dickinson. 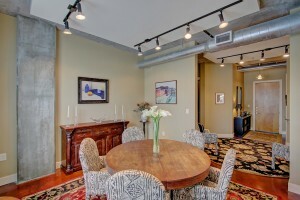 Click here to see more downtown Charleston condos for sale. For a photo slideshow of the property, click here.